xDataBackup Manager Pro - A class/template set that make it easy for you to add archiving of your data files to your applications. Note: The compression portion of this product is a freeware library, therefore you are NOT REQUIRED to purchase any additional templates or licenses for use xDataBackup Pro in your programs. 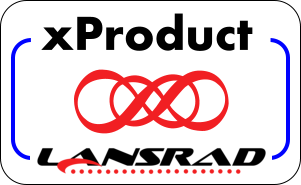 The xDataBackup Manager Pro template is one of the xProduct templates that LANSRAD acquired from SealSoft.